Alliances of European Universities: a new momentum to the European Union? The long-awaited call for proposals for Alliances of European Universities is out! On 24 October 2018, the Education, Audiovisual and Culture Executive Agency (EACEA) of the European Commission published the call for proposals, under Key Action 2 of Erasmus + programme. This publication coincided with the first day of the Rectors’ Conference “University and the Republic: 100 years of Czechoslovakia/Czech Republic” organised in Prague by our member, Charles University. During the two days, prestigious speakers including Rectors and Policy Makers strongly endorsed the important role of Universities in fostering democracy, civic responsibility and the ideals of humanism; values, which Coimbra Group Universities have represented for centuries and are still fighting for today. 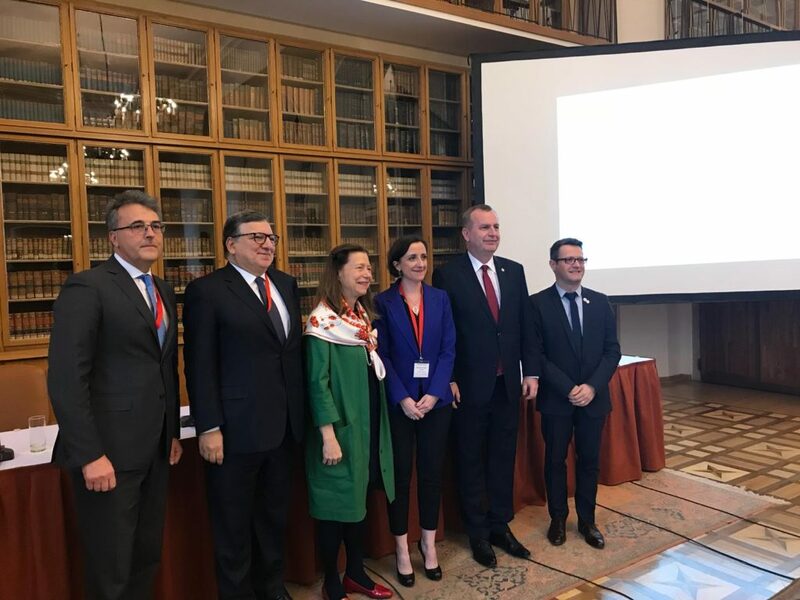 On this occasion, the University Associations present, including the Coimbra Group, Europaeum, UNICA and LERU, published the “Prague Appeal” calling for the unity of the European Education and Research Areas (read associated article). On 25 October 2018, Vanessa Debiais-Sainton, Head of Unit for Higher Education at the Directorate-General Education, Youth, Sport and Culture, presented the details of the call for proposals for pilot Alliances of European Universities: there were no significant changes compared to previous presentations (see report from 25 July 2018), in particular with respect to the final budget of €30M allocated to the first call of the pilot phase of this ambitious initiative (the second call of the pilot phase is expected in 2020 and the European Commission is working on an extension of this initiative under the new Erasmus+ Programme, after 2021). The budget for the first call will only allow for the direct financing of 6 Alliances in 2019 (€5M each), without mentioning possible extra funding from individual Member States. It is expected that the Alliances will give significant momentum to the European Union and will enhance the values reflected upon at the Prague conference. Many consortia have already officially announced that they will apply and quite a few of those include Coimbra Group members: the Executive Board is convinced that, as a pan-European network, the Coimbra Group has a crucial role to play in supporting future Alliances. The Executive Board invites these consortia to contact the Coimbra Group Office to discuss possible ways of collaboration: for example, by facilitating the dissemination to other Coimbra Group members regarding future activities, including internationalisation of curricula, learning outcomes, lifelong learning, research policies and the modernisation of Higher Education. It is our objective to transform the “Alliances of European Universities” initiative into a multiplier and not a divider of the historical cooperation that exists between our member universities.